The EP2000 has become one of the best-selling power amps in the industry. Behringer's proprietary Accelerated Transient Response (ATR) Technology gives the EP2000 the massive power reserves needed for deep and impactful bass response, which translates into a more natural sound quality that will bring your audience to its feet - and keep them there! 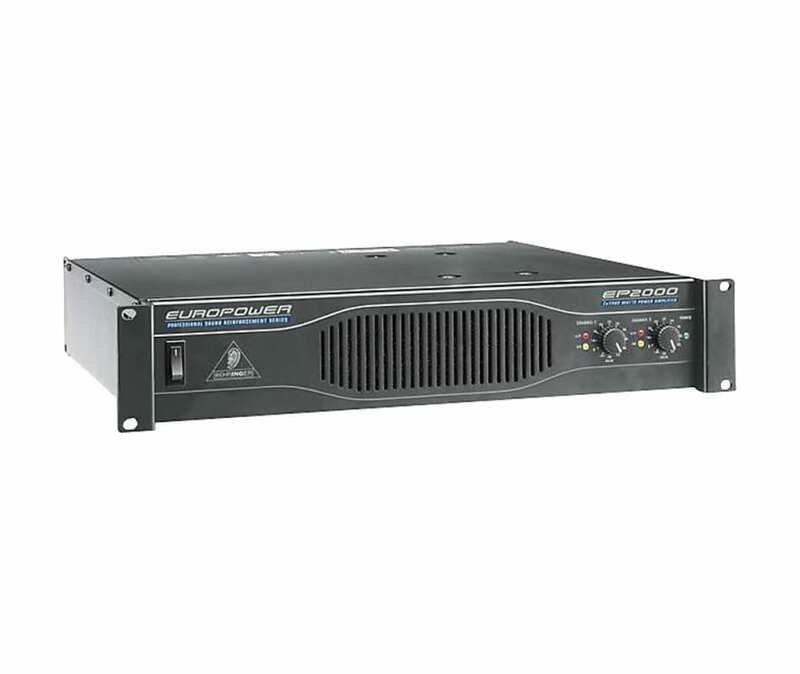 With an amazing 2,000-Watts of output power (2 x 1,000 Watts @ 2 Ohms; 2 x 750 Watts @ 4 Ohms; 2,000 Watts @ 4 Ohms in Bridge mode), the EP2000 is the perfect amplifier for medium- sized club gigs, mobile PA systems, church services or public spaces.